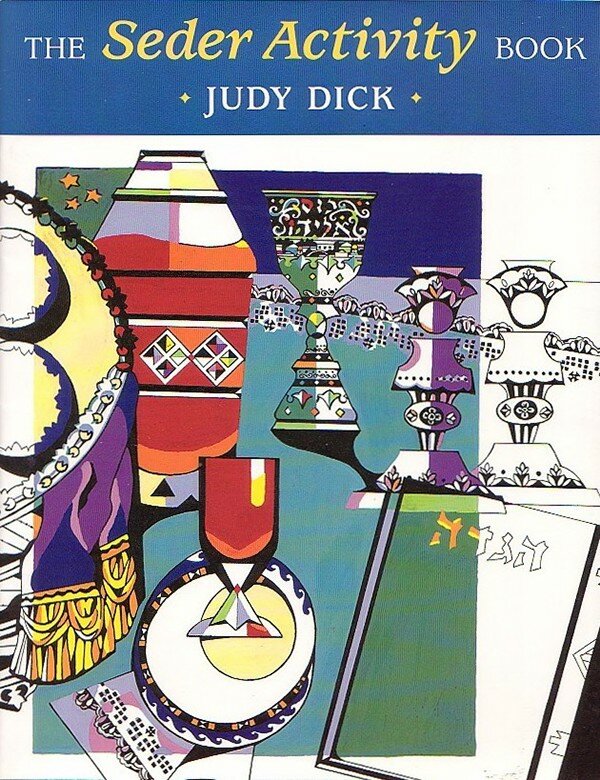 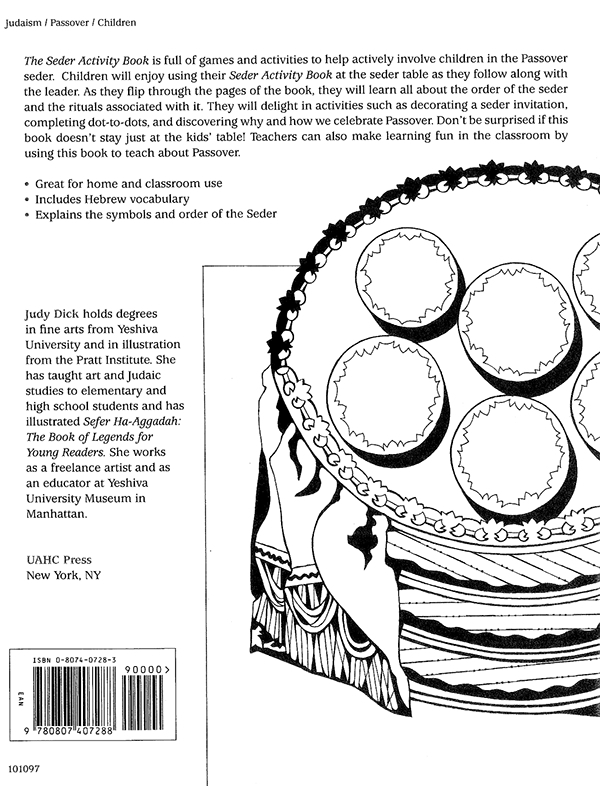 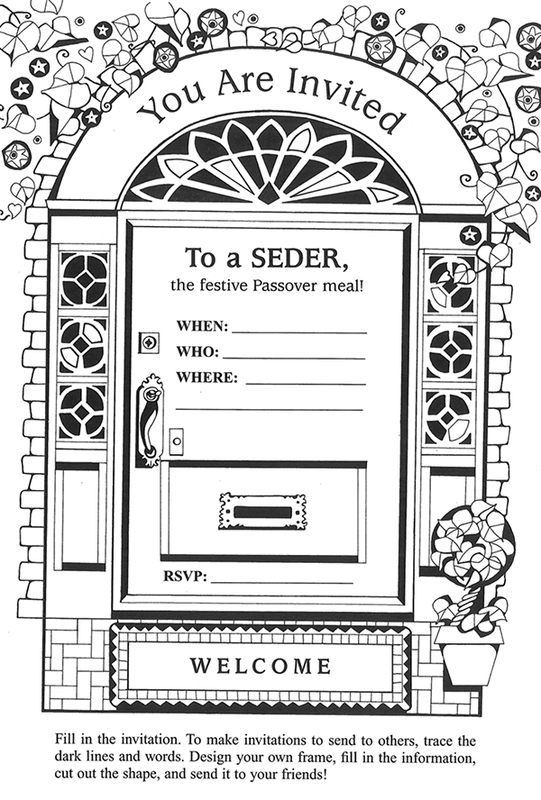 The Seder Activity Book An activity book that teaches children about the Passover seder. 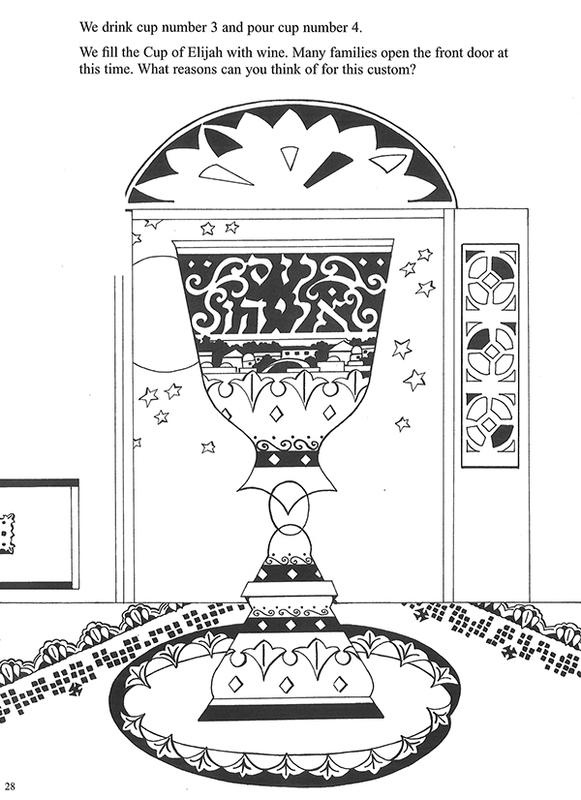 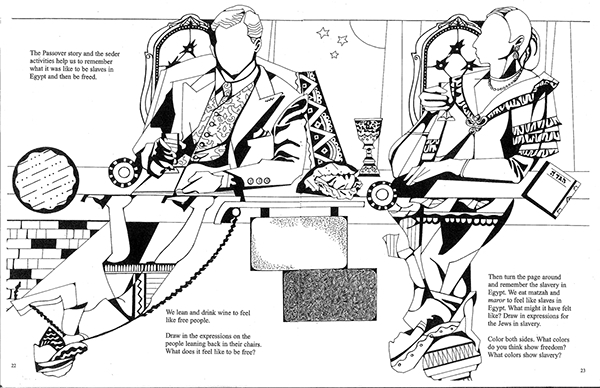 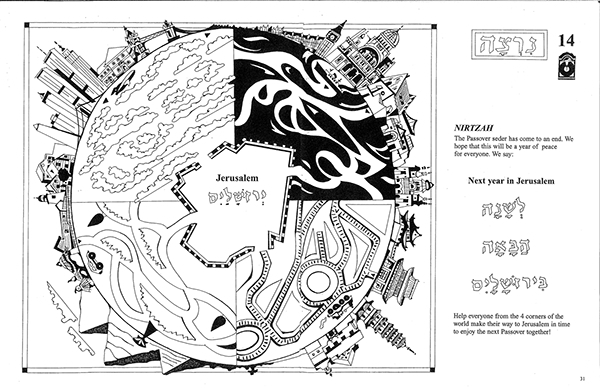 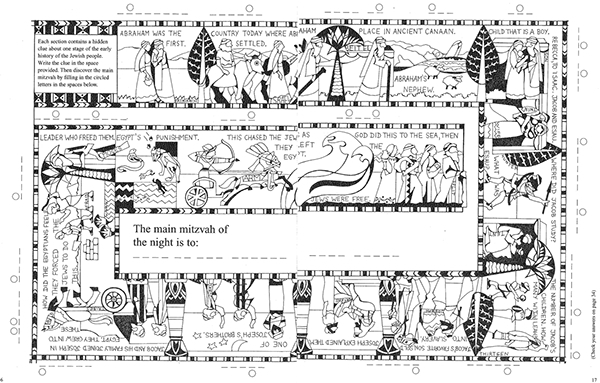 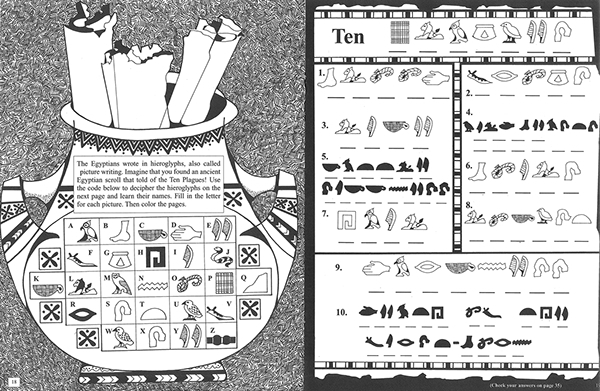 Black and white illustrations accompany the activity pages. 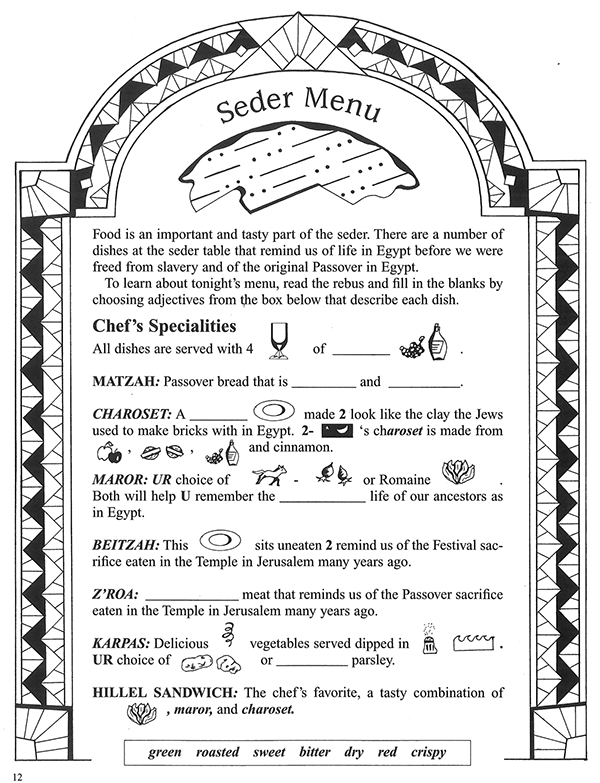 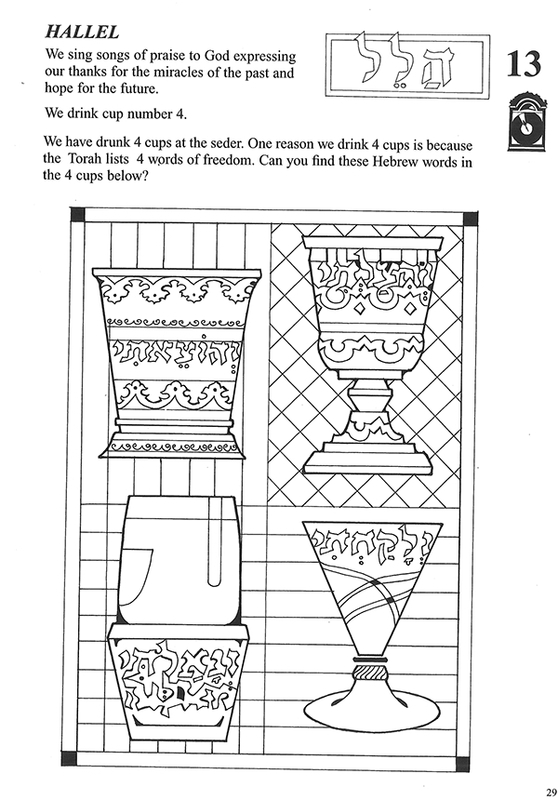 The Seder Activity Book is full of games and activities to involve children in the Passover seder.